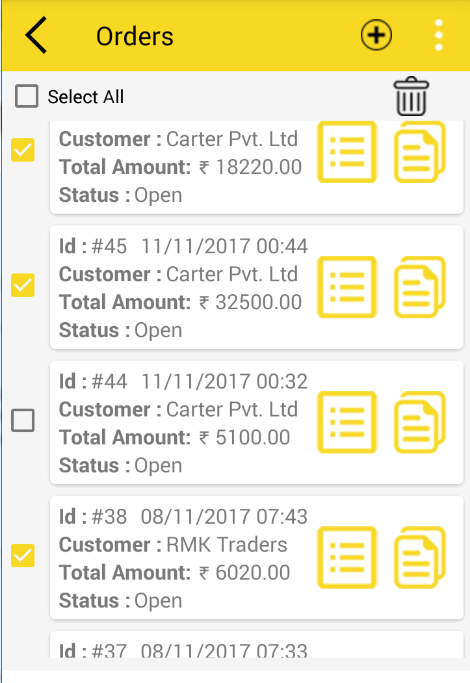 How to Manage Order List? 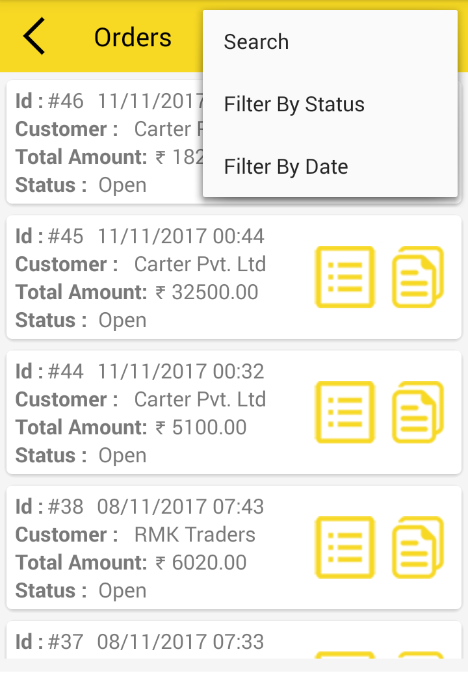 – In orders user can see all the list orders which user had placed . – User can search, filter( by status and by date) according to requirement from toolbar drawer menu. 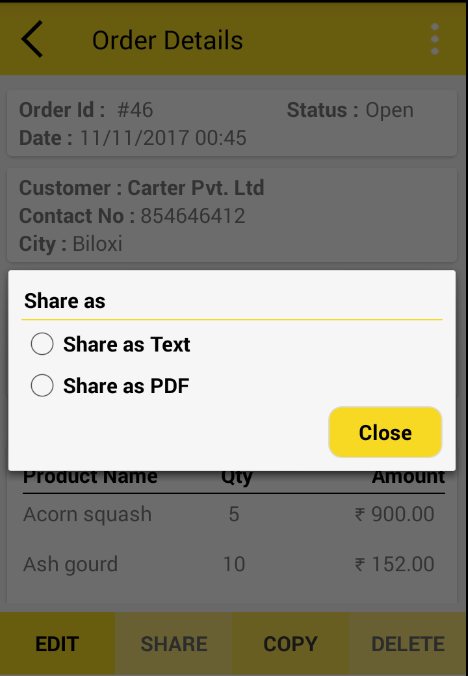 – User can directly switch from order list to order form page by tapping on ” +” button from toolbar. 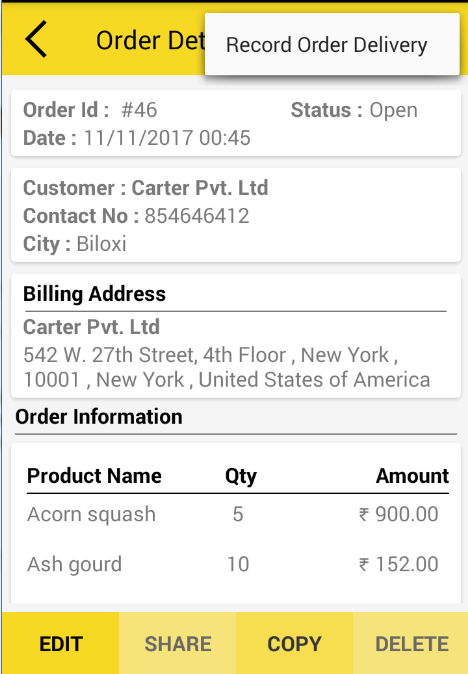 By clicking on order detail icon full details of order is visible to the user. – After clicking on detail icon, user can view, edit, share, copy and delete the order. 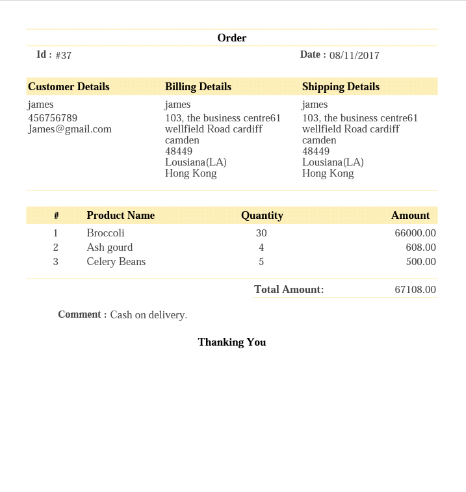 By clicking on Copy icon- User can Easily refer to previous orders which helps in generating new order. – From toolbar drawer, user can record order it as “dispatch” while transporting the order. Which is useful in order list to sort according to open/dispatch. – Orders can be edited and deleted by swipe in right and left respectively. By Satish Mantri|2018-05-08T09:04:42+00:00May 8th, 2018|Comments Off on How to Manage Order List?